TIP: The hotel offers a very affordable transfer service, only 6 EUR per vehicle and way. Best Western Hotel Stella offers everything you need for a comfortable stay. It is a newly built hotel, located in Buzin, offering spacious soundproof rooms. 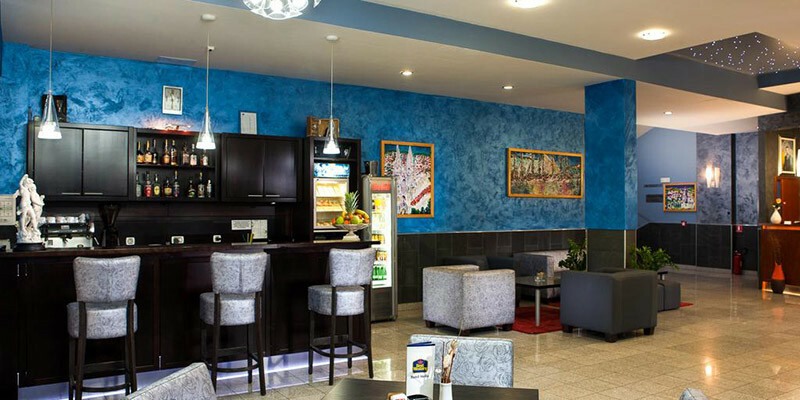 Only a 10-minute drive from Zagreb Airport, the hotel offers free parking and free Wi-Fi. If you have the time Zagreb city centre is approximately a 20-minute drive from the hotel. The hotel is located in the outskirts of Zagreb. In between Zagreb Airport and the City Centre. I find it offers modern rooms and amenities required for short stay travellers, including a modern conference centre. The hotel features a lounge bar so you can start your day with newspapers, coffee, croissants and fresh juice. What is close by to Best Western Hotel Stella? The hotel is located 7 kilometres from the airport in a residential area of Buzin. Basically, right in between Zagreb Airport and Zagreb City Centre.